Oh the irony! 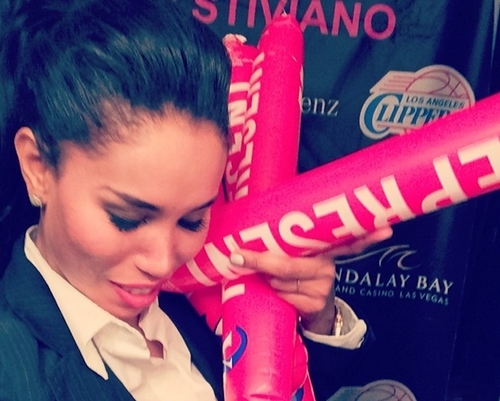 The lady who allegedly leaked recordings of LA Clippers owner Donald Sterling making racist comments, V. Stiviano was attacked today in New York. This is coming a day after TMZ released video of her making racist remarks [you can watch the video below]. She has been claiming all along she should be a hero for exposing Sterling but she then gets exposed for doing the same thing he did. Amazing huh? Oh what a tangled web she weaves. Anyways, Stiviano’s lawyers, Mac Nehoray, confirmed today that she was assaulted around 7:00pm by two men outside the Gansevoort Hotel in Manhattan.. I am not sure she fully comprehends the magnitude of emotions her actions has riled up in some people. Lets hope she recovers well and does beef up security. I mean yeah she isn’t a good person but at the same time, no on should be tryna hurt her. That’s just not right.